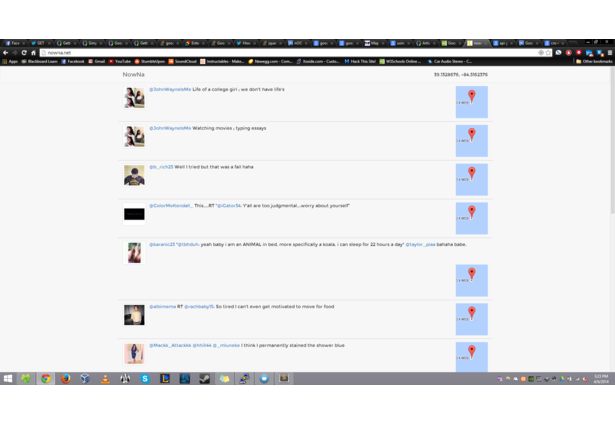 NowNa is a simple webapp that allows you to view what others are tweeting about around you. 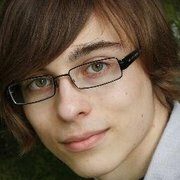 Using the Twitter API, this webapp allows you to see tweets recently made near you within a few mile radius, as long as those tweets have coordinates attached. Also, we have convenient maps beside every tweet to show how far you are from the person tweeting. Pretty cool, huh? So, what can this app be used for anyways? Maybe you want to find out what all the cool kids are doing tonight, but you just don't know how. Just hop on NowNa, press the button, and all your problems are solved! The best part? You don't even have to log into your Twitter account. Just press the button! What are you waiting for? 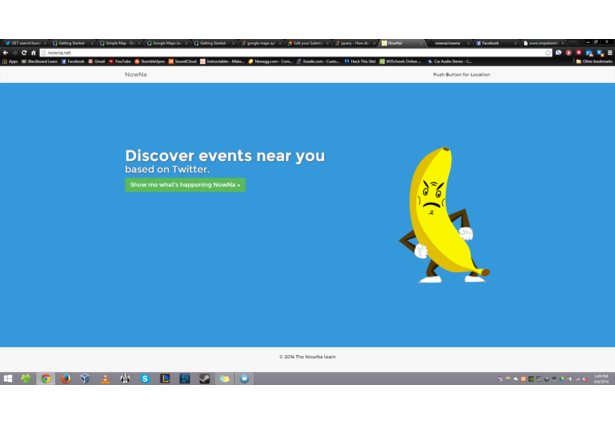 Click the button you impatient banana! Comments for this submission are closed. View the software in Jarvl's portfolio to continue the conversation.